Margaret Gray QC specialises in EU, Competition and Public law. She has appeared in 60 cases before the Luxembourg courts, unled on more than 50 occasions. She frequently represents the Governments of the UK and Ireland, and appeared as counsel for the European Commission in a number of multi-million pound fine cartel appeals. 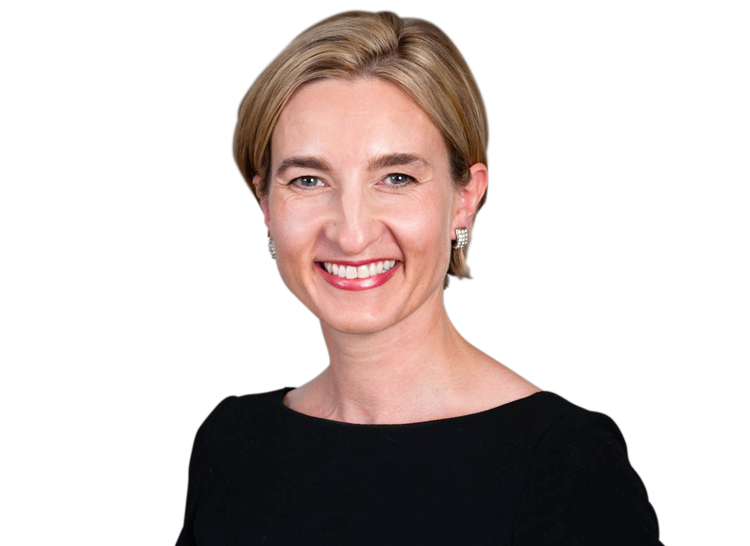 She has built-up a unique expertise in EU regulation of utilities and services between the UK and Ireland, due to her practices at the Bars of Ireland and Northern Ireland, in particular in energy and telecommunications matters. She has acted for each of the UK devolved administrations in EU state aid and procurement matters. Margaret was shortlisted for EU and Competition Junior of the Year at the Legal 500 UK Awards 2018. Margaret's practice takes in the full range of EU law. She has acted in cases concerning citizenship, competition, consumer protection, employment, energy, equality, environment, intellectual property, free movement of services/broadcasting, private international law/Brussels Regulation, sanctions, insurance, shipping, structural funds (Social Funds and EAGGF), state aid, free movement of capital, taxation, public procurement, state liability, pharmaceuticals, technical standards and telecommunications. She has acted for domestic and international commercial clients, local authorities, county councils, an MEP, state and EU agencies, the Scottish Ministers, the Welsh Assembly, a number of government departments, the European Commission, Ireland, and the United Kingdom. Margaret has particular experience in public procurement, and has acted in a multi-party challenge to the award of a public contract for health services before the High Court in Northern Ireland. She also has experience of a wide range of environmental litigation arising in the course of planning application proceedings, including the Birds and Habitats Directives, the EIA Directive and SEA Directive, and the Renewables Directive, both before the national courts and the ECJ. Margaret is experienced in all areas of competition law, in particular complex cartels, horizontal co-operation agreements and price regulation, acting both for private clients and regulators. She had the unique experience of acting for the European Commission in the national court of a member state, in unprecedented proceedings brought against it in the High Court (Chancery Division) seeking to restrict the exercise of anti-trust enforcement powers under Regulation 1/2003. Margaret has particular experience working on cases raising cross-over competition, intellectual property and free movement issues, regarding copyright, patents, trade marks, and other related rights such as marketing authorisations, as well as on FRAND licensing issues and standard-setting organisations. Margaret has a broad public law practice, largely focusing on EU and ECHR matters. She has acted for applicants and respondents in a large number of public law proceedings in the courts of England and Wales, Northern Ireland and Ireland, principally in the fields of energy, environmental law, free movement, regulation of professional qualifications, pharmaceuticals, procurement and telecommunications. She has particular experience of dealing with cases concerning EU and devolution issues. Margaret Gray has lectured widely on practice and procedure in EU law including competition law and state aid law. She has also provided dedicated seminars to government lawyers, as well as to the private sector. Recommended as a leading junior in Administrative & Public Law in the Legal 500 2011 – 2013, in EU and Competition Law the Legal 500 2012 – 2013, and Public Procurement, in The Legal 500 2013.